The Council for Accreditation of Counseling & Related Educational Programs (CACREP) database of institutions revealed that as of March 2018 there were 36 CACREP-accredited institutions offering 64 online degree programs. As the number of online programs with CACREP accreditation continues to grow, there is an expanding body of research supporting best practices in digital remote instruction that refutes the ongoing perception that online or remote instruction is inherently inferior to residential programming. 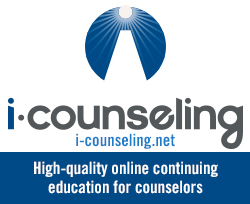 The purpose of this article is to explore the current literature, outline the features of current online programs and report the survey results of 31 online counselor educators describing their distance education experience to include the challenges they face and the methods they use to ensure student success. 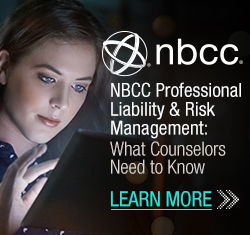 The Council for Accreditation of Counseling & Related Educational Programs (CACREP) standards call for doctoral preparation programs to graduate students who are competent in gatekeeping functions. Despite these standards, little is understood regarding the development and training of doctoral students in their roles as gatekeepers. We propose a call for further investigation into doctoral student gatekeeper development and training in gatekeeping practices. 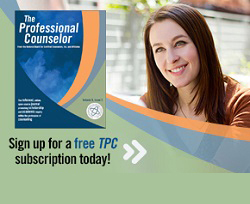 Additionally, we provide training and programmatic curriculum recommendations derived from current literature for counselor education programs. Finally, we discuss implications of gatekeeping training in counselor education along with future areas of research for the profession. The 68-item Research Identity Scale (RIS) was informed through qualitative exploration of research identity development in master’s-level counseling students and practitioners. Classical psychometric analyses revealed the items had strong validity and reliability and a single factor. A one-parameter Rasch analysis and item review was used to reduce the RIS to 21 items. The RIS offers counselor education programs the opportunity to promote and quantitatively assess research-related learning in counseling students.